If you are an entrepreneur running a small business – or even a medium to verging-on-large business – sending out a conventional press release about your company may not be your first choice for a way to promote your product or service. That’s OK, because the “conventional” old press release probably isn’t the best way to promote these days. That does not mean that the whole concept of releasing information to the media, the public, and (thus) your customers is outdated. It just requires some reinvention. In this 2-part series, I’d like to share some ideas with you about what the modern press release can look like in the Internet age. The goal is to get you thinking about ways to do more than send out stale news about your company; instead, you can create some positive buzz online and successfully build your brand in the marketplace. In the past, a press release usually stuck to a tried and true print format, and was sent to members of the local or national media in order to announce something “newsworthy” about your company. Unfortunately, this resulted in documents known for their dry, third-person writing style, a boring quote from a company executive, and amazing ability to quickly line the interior of trash bins. The best you could hope for, in some cases, was that a media representative would at least jot down the phone number in order to call you for the “real” (more interesting) story. I completely agree. You are no longer sending a letter to the media, begging them to cover something that’s happening at your company. 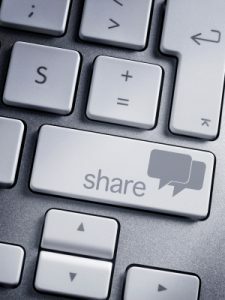 You are communicating directly with the public online, sharing something fun, exciting, interesting or educational. Even better, you don’t need a marketing department or public relations firm to create a successful news release. You just need a little creativity and knowledge of your business and its customer base. Give the people what they want and/or need! Sound like some things you’d like to have going for your business? Naturally! And you already have the perfect outlet to build these valuable personal relationships – your website. Use your blog or Company News or Articles page to post releases that boost your name (your brand) to the marketplace. Brand recognition represents intellectual attraction and emotional appeal. According to Chad Barr and Alan Weiss, authors of Million Dollar Web Presence, logic makes people think but emotion leads them to act. The first step is to start talking about your business online. “If you don’t blow your own horn, there is no music. At some point your horn can become a full orchestra, augmented by the web’s scalability and power to leverage. The key is to create this presence in a non-narcissistic way, and look like a valued asset and not a late-night infomercial,” Barr and Weiss noted in an article on Entrepreneur.com. You don’t have to wait for a big announcement such as expanding your service area or hiring a new employee to do a “news release.” And remember, you are not limited to posting news to your blog. You can still email to media contacts, current customers or include in a monthly or quarterly newsletter. The important thing is to provide news or information people can use, or at least talk about among friends (both online and in person). Here are a few ways to package news for maximum impact online. The People Magazine Profile: When you do make a new hire or promote a key employee, don’t stop at the typical “resume” style news blurb and static head-and-shoulders photo. Write a personal introduction or celebratory message about them. Share some fun facts and insights about their personality (with the employee’s permission, of course). Where are they from? What are their hobbies? What do they like most about their job and why? What’s on their iTunes playlist? Feature a warm, personal photo of the employee at work with other employees or with customers. Even better, film a cute “day in the life” video clip. ‘Tis the Season: Almost any type of business can be affected by seasonal events or weather. Weather is the most popular part of any news cast or news website. Capitalize on public interest by tying in your products or services to recent weather patterns or seasonal forecasts. Whether you are a plumber, an air conditioning and heating company, a roofer, a chiropractor, or a veterinarian, certain things interest your customers more during certain times of the year. Provide tips on dealing with heat waves, ice storms, high winds, insect infestations, common Springtime sports injuries, etc. Don’t forget to link to pages on your site that specifically relate to these issues, and always include any photos, videos, or time-sensitive promotions or coupons. Number Crunching: You don’t have to be a math whiz to love numbers. Statistics make news, even when you don’t understand arithmetic like former President Bill Clinton. The media and the public in general love to read statistics. It makes them feel like they are on the cutting edge of some developing trend. For news outlets, statistics make great sound bites. “But I’m a plumber, not a research analyst,” you protest. Never fear; you are a business professional and that means you have all sorts of numbers at your disposal. You probably know of a professional association that reports on trends in your industry. You keep track of sales trends, customer demographics, demand for product, and even call frequency over time, don’t you? Take the knowledge you have about your own business and spin it into a few interesting “did you know?” tidbits for your blog post/news release. Reporting trends, such as the most popular products you sold in the past month, is a great way to plant an idea in a potential customer’s mind. Is the call for new garbage disposals up 50% from this time last year? Maybe it’s time for everyone to think about updating their disposal! Growing Strong: As Barr and Weiss said, you have to toot your own horn to make music. So if your company is expanding, don’t assume you are the only one who cares. Let the public know how you’ve grown and why. This may be one reason to post a news release that follows conventional guidelines for a professional look and feel. For example, Advice Interactive Group has been growing a lot lately, and we choose not to hide our light under a bushel. Tell the world about your success to improve your image as a reputable, authoritative part of your industry. Building your business is one of the best ways to build your brand. Those are just a few quick ideas to get you thinking about news releases to build your company’s PR (personal relationships). The next step is writing those releases for maximum online impact with users and with search engines. I’ll give you some easy-to-follow press release pointers in part 2 of this series. In the meantime, check out some excellent reasons to employ SEO (search engine optimization) on your press releases in this infographic found on PRWeb.com.